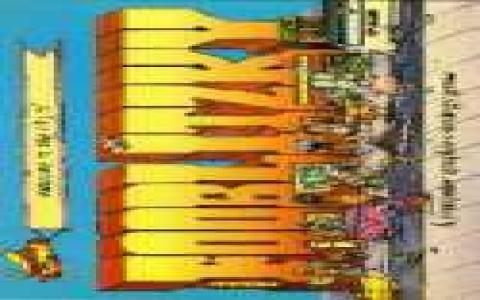 A massive departure from Infocom's usual staple of text adventures like Zork and The Lurking Horror, this bizarre little game is a sort of computerised board game like Monopoly but which suggests that Infocom should have stuck with what they were good at. The idea behind the game is decent enough, and rather ambitious, with the original release relying on several additional items such as paper maps and notebooks, but unfortunately the execution is so obtuse and user-unfriendly, that only the exceedingly patient or determined will have any fun here. The idea is for several players to engage in a sort of scavenger hunt, where they must run around a board representing a town, looking for clues to ultimately discover the identity of four mystery objects, with victory going to the first to do so. Throw in financial considerations which must be kept track off and you have all the makings of an entertaining little board game. However, it all goes horribly wrong from the start with a horrible interface that is a nightmare to navigate and with controls that are just willfully obscure and downright baffling, making the experience a frustrating one right from the off. If you can be bothered to get past this unappealing exterior, things don't really improve much, with bland visuals that are almost entirely lacking in character. This could be excused were the game any fun but again, the game falls down flat in this respect. The rules are equally as confusing as the interface and it is only through trial and error that you really find out what is going on. However, most players are likely to have given up by that point and that is entirely understandable, given the mess that is being presented as fun.